Well. It’s now in the hands of Createspace, waiting for them to tell me whether or not it’s acceptable. The issue will probably be alignment, with this book being more than a hundred pages longer than The Outskirter’s Secret. They give you a template sized to the size of your book, but many a slip ‘twixt the cup and the lip, as they say. If there’s a problem, I’ll have to adjust, resubmit, wait for review again. Already on the task of creating the paperback for The Language of Power. But there’s certainly no way I’ll finish that before Christmas. 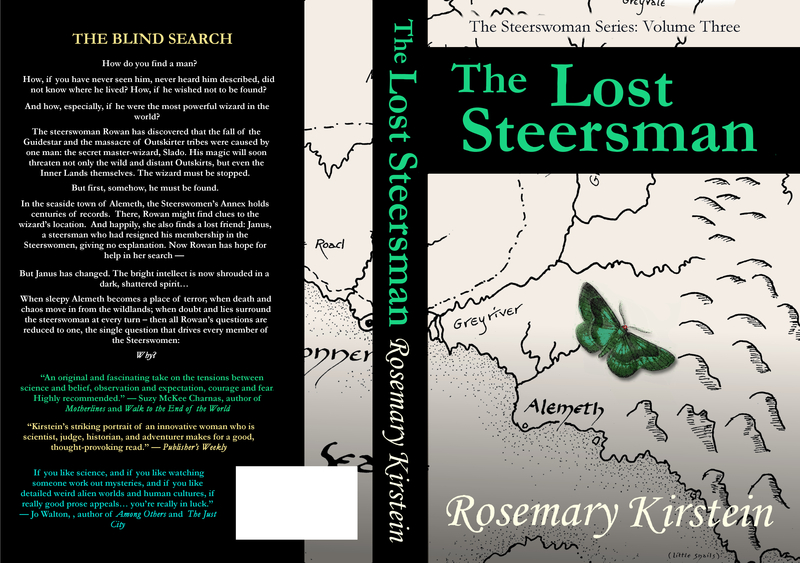 In fact, the time needed for the vetting process and final proofing on The Lost Steersman makes it not likely that even that will be on sale in time to arrive before the holiday. It’s possible, but not certain. Rats. On the other hand, having done three now, I do have a better sense of the range of time needed. Good to know for the future.